Bake 32 to 36 minutes or until toothpick inserted in center comes out clean. Cool completely, about 1 hour. In small bowl, mix whipped topping and 1 container yogurt until blended. Serve cake with peaches and topping mixture. Store loosely covered in refrigerator. Shiny aluminum pans are best for baking cakes because they reflect heat away from the cake and produce a tender, light brown crust. 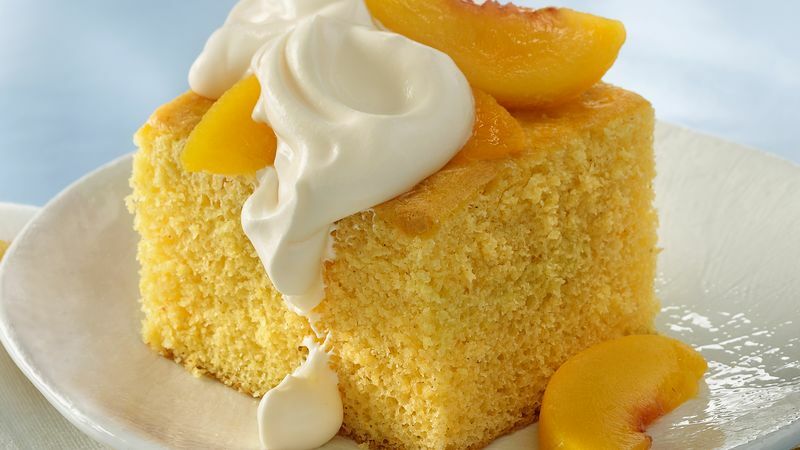 Serve this cake with fresh instead of frozen sliced peaches, if they are available.